While you’re reading this I’m already on my way to the top of Half Dome in Yosemite National Park. Yippie! You can bet I’m on my way to finishing off these little bites. They’re soooooo good. They’re also needed for this intense hike (of a lifetime!). Half Dome is a hike that has been raved as one you MUST do before you die. The longest and steepest hike found in any National Park. Along with 5,000 feet elevation gain, this is a 17 mile hike (depending on which trail) that takes about 10 to 14 hours to complete. Along the way there are incredible waterfalls, beautiful rock formations, and insanely steep routes. It’s a LONG day hike but is suppose to be absolutely breathtaking. Then there are the cables… think completely vertical, pulling yourself up with ropes. Yikes! Wish me luck! 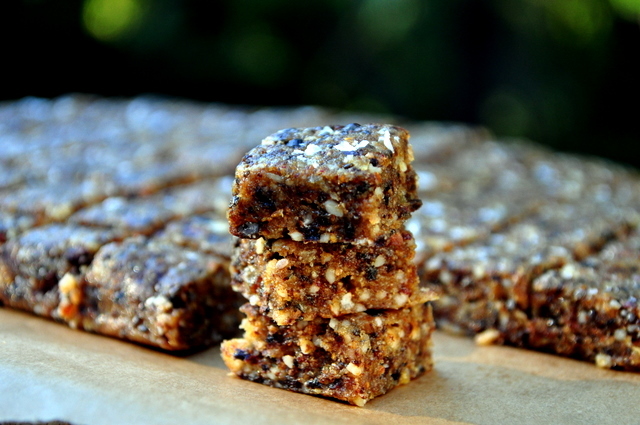 I made these to include all the ingredients I know to provide energy with nutrients. Some of these ingredients (if not all) are incredibly important for replenishing muscle damage (due to things like a long hike) and glycogen shortages (required for feeding muscles!). Maca – Purvian (not so-)secret for increased energy and mood, adrenal support, improve sexual desire and decreased anxiety. A dried root ground into a powder and used in smoothies, baked goods, anything really. I love it for it’s malty taste and use it just about everyday in smoothies. Chia Seeds – Little seeds rich in omega-3 fatty acids and contain high amounts of contain phosphorus, manganese, calcium, potassium and sodium. One ounce of chia seeds contains 4 grams of protein and 11 grams of fiber. My favorite part about these little guys is they soak up water (or any liquid) like crazy and when eaten when water-filled provide slow digesting hydration for you. (does that make sense?) They help hydrate you. 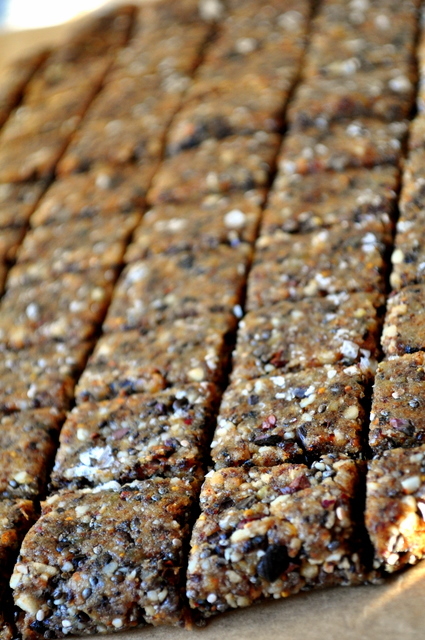 Raisins/Dried Figs/Dried Fruit – Instant sugar (energy!) to refuel your glycogen stores, which in turn, help your muscles during endurance activity. And they taste good and hold these Survival Bites together. Raw Cacao Nibs – Energy, nutrients, minerals, and crunchy, these raw cocoa bean pieces provide ample amounts of everything good for your body! Sea Salt – When you exercise you lose a lot of salt through sweat. Adding some salt into your diet can help replace the electrolytes lost and help keep energy levels up. Plus, this added flavor-enhancer does wonders for the sweet and savory combination. Absolutely delicious sprinkled on top. 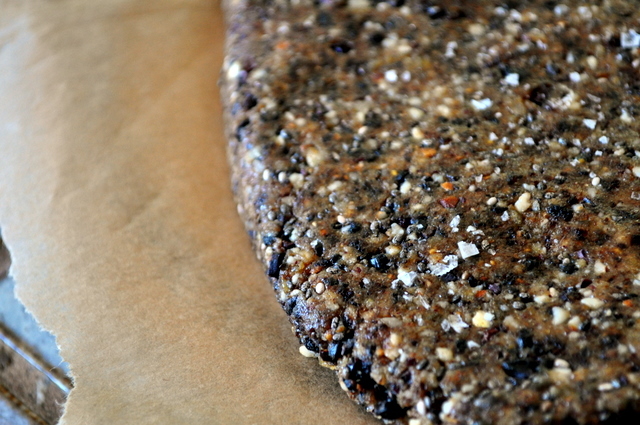 I just love chia seeds and always looking for new recipes. They sounds like perfectly wonderful chia seed recipe to me! Yummy, these survival bites look so tasty. 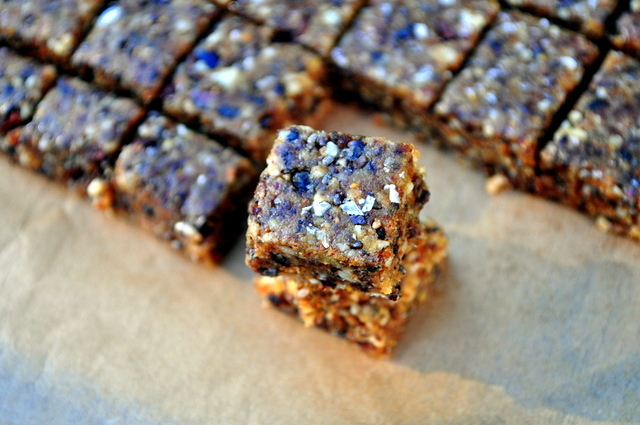 You can’t go wrong with maca and chia seeds. Thanks for sharing! I LOVE things like these!! just a couple pack a serious amount of energy – I LOVE my maca and my chia!! Gosh these survival bites look so good! Hope you had a great hike! Always wanted to go to Yosemite! dude, you’re a hiking rockstar! i got so addicted to it after peru! i love it! Hope you had a great time: that sounds like the funnest, most challenging hike. Survival bites look just great. These look so good! 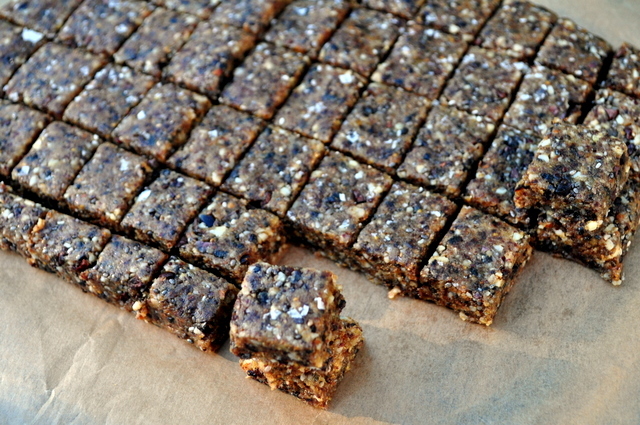 I love chewy little energy bites like that 🙂 I hope you had fun on your hike!